The Wilton Rancheria, the only federally recognized tribe in Sacramento County, California, is no stranger to a battle. Tribal status was terminated in 1958, and after a long-fought campaign by Tribal elders, federal recognition was restored in 2009. 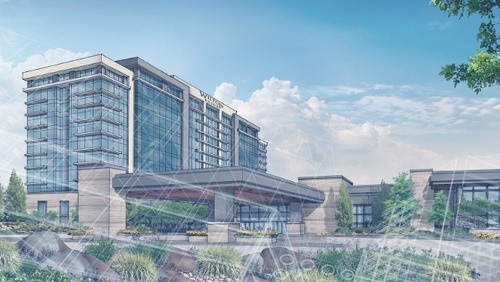 Now, following an arduous multi-year pursuit to open a casino in Elk Grove, California, the Wilton Rancheria is finally breaking ground on its new venue. Elk Grove Casino will be the nearest casino to downtown Sacramento, and home to the largest convention space outside of it. After demolition of a deserted mall, construction will commence of the Las Vegas-style attraction, offering 110,000 square feet of gaming space, a 302-room hotel tower, restaurants and a spa. Commencing construction represents a “new chapter” for the Tribe, Raymond Hitchcock, chairman of Wilton Rancheria, told CalvinAyre.com. The Tribe is investing $186 million in the first 20 years with the City of Elk Grove and Sacramento County to support police, schools, roads and other community and social services. The new project will also create thousands of local jobs. “The project will also enable the Tribe to invest in medical care, housing and educational opportunities for its members,” Chairman Hitchcock said. The property was purchased by the Tribe in 2016, shortly after the Tribe inked a new gaming compact with then-Governor Jerry Brown. Legal challenges ensued thereafter. But the Chairman of the National Indian Gaming Commission (NIGC), Jonodev Osceola Chaudhuri, of the Muscogee (Creek) Nation, signed and approved the management agreement between Wilton Rancheria and Boyd Gaming to build a resort and casino on the Tribe’s trust land on October 31, 2018. Boyd Gaming will manage the property; the partnership was approved by the California State Assembly and California State Senate in 2017—at the time of unanimous compact approval by both chambers. “We look forward to working with them in the years ahead as we help make their vision of a world-class gaming resort a reality,” Boyd President and CEO Keith Smith has said.